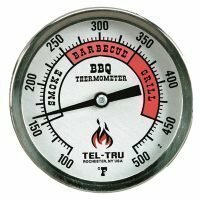 Tel-Tru BQ300 long stem barbecue thermometer is the brand you will find on most commercial barbecue pits, the black dial face and long stem is their preference. 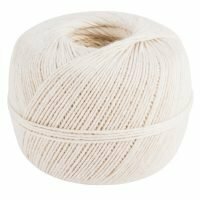 Save 5% when purchasing 2 or more! 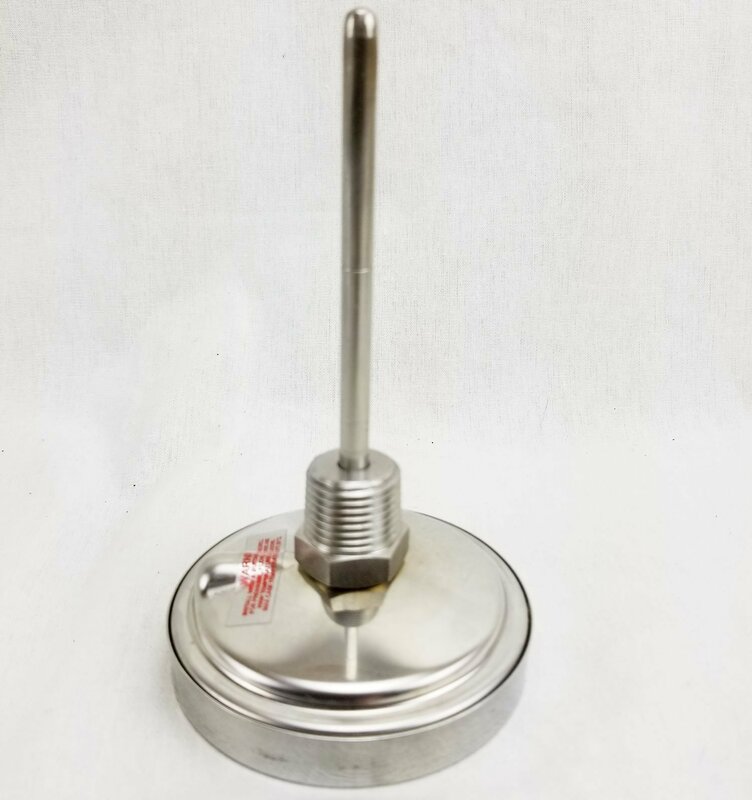 The stem is threaded at 1/2″ NPT and will fit any 7/8 inch hole and will easily mount using the installation kit if your pit is not already set up for it. 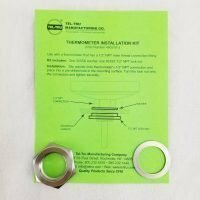 Mounting nut and washer are NOT included, sold separately here. 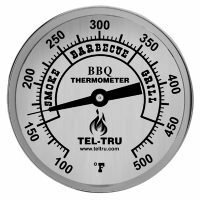 This Tel-Tru BQ300 long stem barbecue thermometer will mount into a 3/8″ hole. 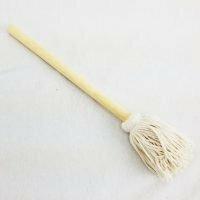 If this sounds large to you that is because it is. 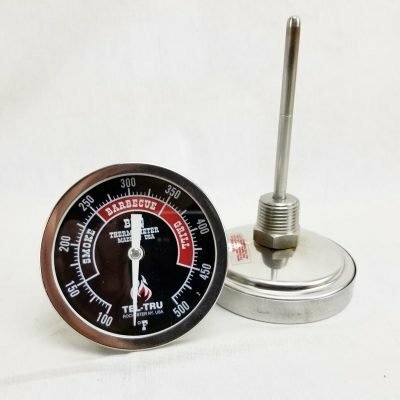 Most higher end off-set smokers already have this size mounting hole on them and it is just covered with a plug, some are even threaded to accept it. The NPT threading is a standard found in plumbing and for laboratory thermometers. 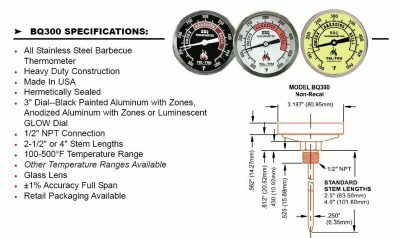 You can see how large that 3 inch dial face is when mounted on an 18 inch kettle grill (shown above). 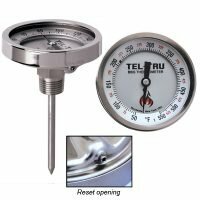 It is about the size of your fist. 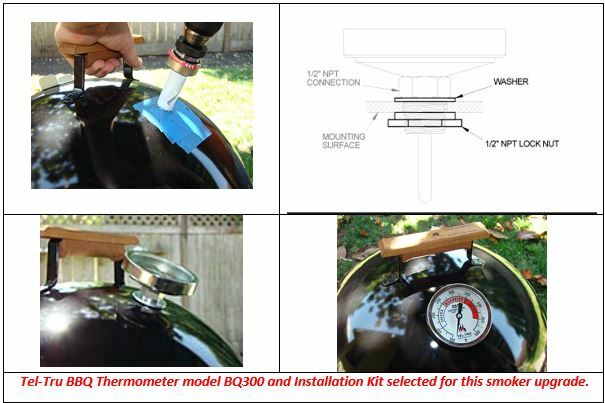 Another thing to notice in that image is that it does not sit flush, this is by design to get more accurate readings. 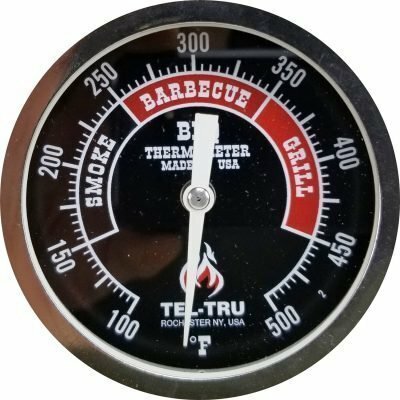 Is the Tel-Tru BQ300 Long stem right for your smoker? 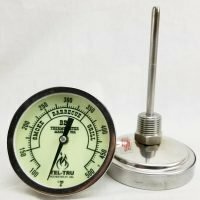 For accurate temperature readings, the length of the sensor must be fully immersed inside your cooking chamber. A bimetal thermometer has a coil that is about 2” long located at the bottom of the thermometer stem. 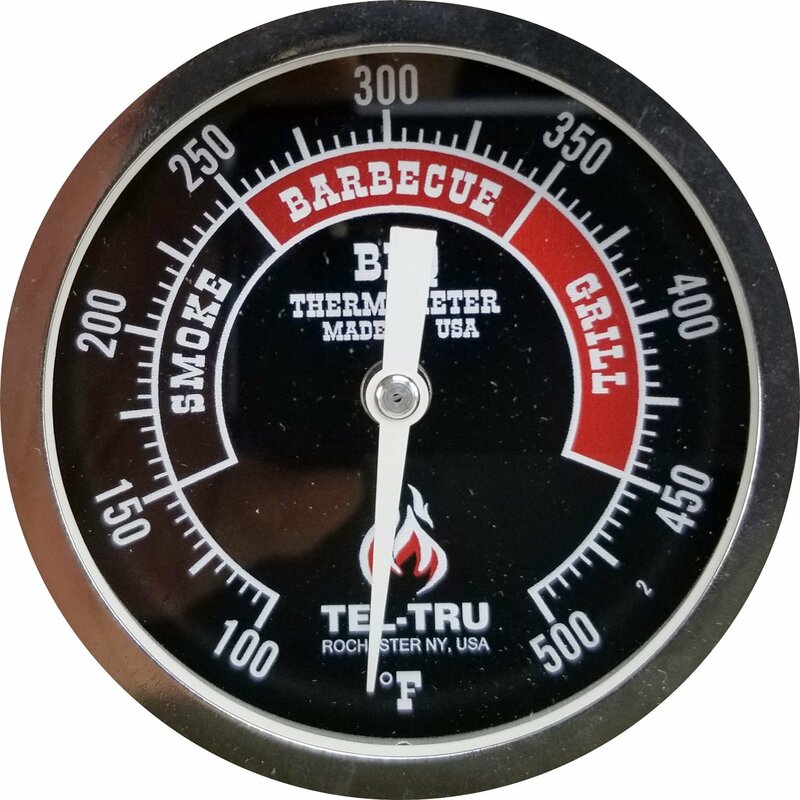 A Tel-Tru barbecue thermometer has a 360 degree groove so that you can visualize where the sensor is inside the thermometer stem. 4″ Stem x .250″ Diam.